Green Day’s career arc has been one most bands would envy. It’s rare for a band to continue strong for 25+ years, and rarer still for them to have continued success into their later years. But Green Day has always been special. After a strong underground start in the Bay Area, the trio released their major label debut, Dookie, in 1994. Obviously, that album was a smash hit. After three more albums and a greatest hits collection, many thought Green Day’s time was over. They didn’t see American Idiot coming. American Idiot saw Green Day going in a bolder direction, tackling politics and moving away from simple punk and further into arena rock. It was huge, and Green Day continued with the anthemic sound on 21st Century Breakdown. It wasn’t until the 2012 trilogy that Green Day started changing their approach. While ¡Uno! was an attempt at going back to their roots and ¡Tré! was more in line with the previous two records, ¡Dos! is where Green Day started trying a rougher, more garage sound. Sadly and unfairly, the trilogy was not well received. Now, with Green Day’s 12th studio album, the band is taking a big step back from the over-the-top ambition that has dominated most of this century. Revolution Radio is Green Day’s first album not described as a rock opera or appearing as part of a trilogy since 2000’s Warning. This is not to say they’ve regressed to their adolescent beginnings. Revolution Radio tackles big topics here – social issues, political problems, personal challenges – and can be readily compared to American Idiot and 21st Century Breakdown. But it also has a straightforward urgency more akin to Insomniac. The songs are frequently topical. Mass shootings, terrorism, and police violence are evident. Social media’s effects go up against mass media’s biases. Personal struggles interplay with more universal struggles: Drug addiction, single parents, war veterans, Black Lives Matter. But it’s not all heavy; some songs focus on sweet nostalgia and lasting love. Revolution Radio also finds Green Day exploring new musical territory. Beyond the familiar punk rock tracks, the band also goes into bluesy terrain, intricate guitar work, and Middle Eastern influences. The songs are pushing into new sounds for the band. But fans of the last 12 years will also be happy to hear one multi-part suite, too. Revolution Radio is ambitious. Not in the way American Idiot and 21st Century Breakdown created rock operas with a cast of characters. Not in the way the trilogy pumped out 37 new songs in a span of 3 months. But it is ambitious in its musical themes and lyrical content. It also finds Green Day finally at peace with simply releasing a 12 song album without the extra bells and whistles. While the dramatics are fun, Green Day doesn’t need them. They’ve cemented their place in rock’s history and rock’s present. “Somewhere Now” – Revolution Radio opens, surprisingly, with intricate acoustic guitar and heartfelt vocals. The song suddenly explodes into a big chorus, bringing extra grit and energy with it. It’s an ambitious track, and in many ways “Somewhere Now” is reminiscent of Green Day’s 2009 single, “21st Century Breakdown.” It’s a strong start to the record. “Bang Bang” – The first single is also the darkest and heaviest song on the album. “Bang Bang” tackles the persisting US issue of mass shootings. Billie takes on the character of the shooter looking for social media glory in light of his horrific crimes. The song adds extra interest with a middle eastern breakdown. “Revolution Radio” – The title track starts with haunting, chiming guitars. Billie sings about mass media’s lack of reliability as the underground swells to make a change. “Revolution Radio” gets at the heart of what the record is about, and confirms that it’s as political as Green Day’s two rock operas. “Say Goodbye” – From the first notes, “Say Goodbye” is already a highlight on the album. It starts with a shuffling, bluesy chant of “say goodbye to the ones that we love.” As with the previous two tracks, this one takes inspiration from modern societal issues, as Billie points to “violence on the rise.” “Say Goodbye” is raw and bombastic, and overall is very different for Green Day. “Bouncing Off The Wall” – The most straightforward and light-hearted song so far comes with “Bouncing Off The Wall.” It has the classic Green Day sound, chants of “hey” punctuating an upbeat song about the chaos of today. “Still Breathing” – After Billie Joe’s iHeartRadio breakdown and subsequent trip to rehab in 2012, many thought his substance abuse troubles would dominate the new music. Alas, all of that seems to have been whittled down to just one song. “Still Breathing” delves into the psyche of someone who has almost given up. But the lyrics don’t just paint a picture of addiction; rather, Billie makes the song more universal with fatherless children, war veterans, and penniless gamblers. It’s the most radio-friendly song on Revolution Radio, but its lyrics affirm its deeply personal and relatable meaning. “Too Young To Die” – A trick beginning finds Billie singing about a “sentimental illness.” But the old-timey vibe dies away as the punk song kicks off. Billie talks about his high school days and how his dad was always on strike. He’s stuck in a limbo of being too afraid to dream but his dreams being too dumb to die. “Forever Now” – The most ambitious song on Revolution Radio is the multi-part “Forever Now.” Like “Jesus Of Suburbia,” “Homecoming,” “American Eulogy,” and “Dirty Rotten Bastards” before it, this track is divided into distinct parts. “I’m Freaking Out” comes first, with Billie introducing himself in the opening line before diving into why exactly he’s freaking out. Part two is “A Better Way To Die.” It’s decidedly more morbid, but Billie offers a solution. Echoing the album’s title, he declares, “I wanna start a revolution / I want to hear it on the radio.” Part three is a reprise of “Somewhere Now” that brings in the refrain of hearing a revolution on the radio. “Forever Now” is an excellent song and a highlight on the album. 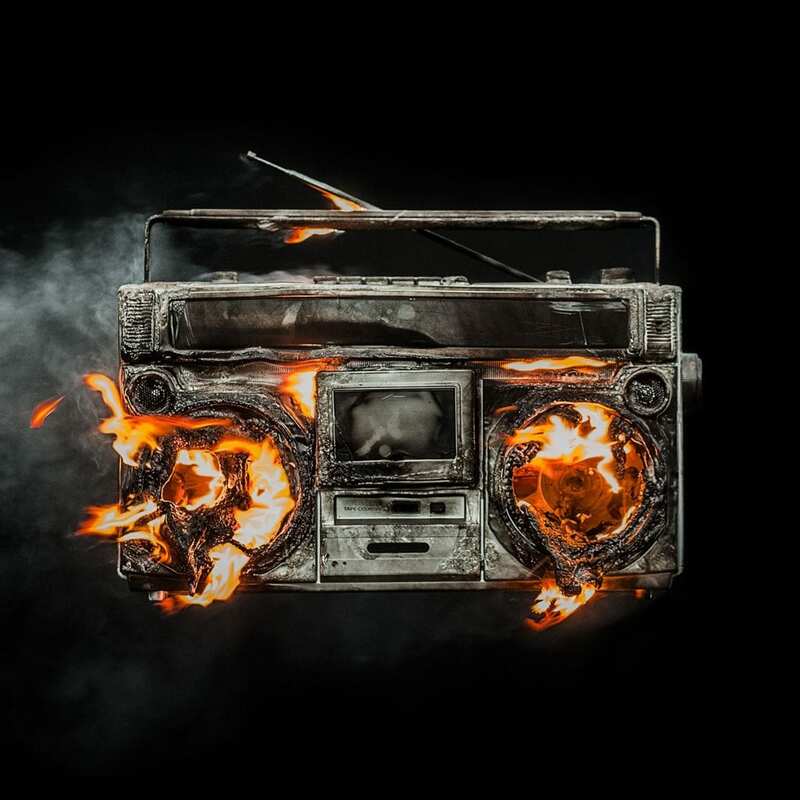 “Ordinary World” – Revolution Radio ends with a song that Billie Joe actually wrote for his great new film, Ordinary World (formerly known as Geezer). “Ordinary World” is a simple ballad featuring little more than Billie and his acoustic guitar. It’s sweet, if a bit underwhelming. The folky song would fit in well with the covers Billie recorded with Norah Jones for their 2013 album, Foreverly. It’s not the most impressive ending song of Green Day’s career, but it is the right ending to such a thematically heavy album. You can buy Revolution Radio on iTunes or Green Day’s official website now.